Meziane Lasfer won a scholarship towards a master's degree and followed this up with accounting and corporate finance qualifications from the LSE and University of Bath. He joined the Business School in 1990. He has written extensively on Corporate Finance, Capital Markets and Corporate Governance issues. 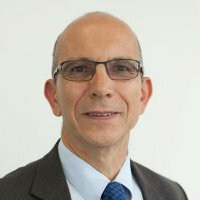 His research is widely reported in the financial press and was sponsored by the National Association of Pension Funds (NAPF), the Finance Lease Association (FLA) and the Institute of Chartered Accountants in England and Wales (ICAEW), the Chartered Institute of Management Accountants (CIMA) and various companies (e.g., BP, Donaldson’s and Land Securities-Trillium). The outcome of his research is published in top academic journals such as Journal of Finance, Journal of Finance and Quantitative Analysis, Journal of Banking and Finance, Journal of Corporate Finance, Journal of Business Finance and Accounting, Financial Management and European Financial Management. Meziane was the Director of the MSc Finance programme, the PhD programme, and acted as Director of Research. He teaches Corporate Finance, Financial Analysis, Research project Management and Financial Economics to MBA, MSc and PhD students. In addition he taught executives in UK and abroad. His outstanding teaching performance led him to win the first Dean's Prize for Teaching Excellence in 1998, 2003, 2006 and 2008. He was visiting professor at HEC Paris, University Paris Dauphine, and University Paris XII Creteil. Arabic (can read), Berber languages (can read, write, speak and understand spoken), English (can read, write, speak, understand spoken and peer review) and French (can read, write, speak, understand spoken and peer review). Over the last three years I focussed on insider trading and carried on working on dividends. In terms of insider trading I looked in the past at the information content of insider trading in seasoned firms (one paper published in a 3* journal). Now I focussed on trading in Initial Public Offerings (IPOs) where the information asymmetry problem is higher (two papers under review in good journals). In terms of dividends I worked on the impact of taxation and governance on dividends across 24 OECD countries. The paper is now published. I intend to extent this analysis further by testing the impact of dividends on mergers and acquisitions (I have one PhD student woirking on the topic), the testing of the catering theory of dividend across markets, and the dividend policy of IPOs (one of my students completed his PhD on the topic and we are writing joint papers). I also worked on share repurchases across Europe (one completed paper under review). I also worked on the market behaviour following large price shocks (one paper published) and I started working on the recovering strategies adopted by financially distressed firms, the delisting strategies of firms from the stock markets, and the impact of size on the firms' capital structure. Lasfer, M.A. (2004). On the monitoring role of the board of directors: the case of the adoption of Cadbury recommendations in the UK. Corporate Governance (Advances in Financial Economics) (pp. 287–326). Emerald Group Publishing Limited. ISBN 978-0-7623-1133-0. Lasfer, M. and Faccio, M. (2004). Do Occupational Pension Funds Monitor Companies in Which They Hold Large Stakes? In Keasey, K., Thompson, S. and Wright, M. (Eds. ), Corporate Governance (International Library of Critical Writings in Economics Series) Edward Elgar Publishing. Lasfer, M.A. and Faccio, M. (2002). Institutional Shareholders and Corporate Governance: the Case of UK Pension Funds. In McCahery, J., Moerland, P., Raaijmakers, T. and Renneboog, L. (Eds. ), Corporate Governance Regimes: Convergence and Diversity Oxford University Press. Lasfer, M. and Korczak, A. (2009). Foreign Shareholder Activism and Insider Trading Before Material News Announcements. European Accounting Association. Lasfer, M. and Hoque, H. (2009). Insider trading and lock up arrangements. European Finance Association Bergen, Norway. Lasfer, M. and Hoque, H. (2009). Insider Trading and Lockup Arrangements. Multinational Finance Association Greece. Lasfer, M. and Hoque, H. (2009). Insider Trading before IPO Lockup Expiry Dates. European Financial Management. Lasfer, M. and Andriosopoulos, D. (2009). Share Buyback in Europe. Multinational Finance Association Greece. Lasfer, M., Koczak, A. and Koczak, P. (2009). The strategic trading of insiders. Journal of Business Finance and Accounting (JBFA) Capital Markets Conference Venice, Italy. Lasfer, M. and Rymer, L. (2008). Corporate financial distress in the UK. Corporate Bankruptcy Ghent Belgium. Lasfer, , Meziane, and Cahit, (2008). Scrip dividends in Inflationary environment. Financial Management Europe Vienna. Lasfer, , Meziane, and AlZahrani, M. (2008). Taxes and dividends. Asian-Pacific Finance Association Tokyo. Lasfer, , Meziane, and AlZahrani, M. (2008). Taxes and dividends. European Financial Management Association meeting Athens. Lasfer, , Meziane, and AlZahrani, M. (2008). Taxes and dividends. Western Finance Association Hawaii. Lasfer, M. (2008). Various: Taxes and dividends, Non-executive directors pay, Meetings. Various universities: Cass, MBS, Reading, Paris Dauphine, University of Amiens London, Manchester, Paris, Amiens. Lasfer, , Meziane, and Adriana, (2007). Insider trading and cross-listing. European Financial Management Vienna. Lasfer, , Meziane, and Adriana, (2007). Insider trading around news annoucements. European Financial Management Vienna. Lasfer, M. (2007). Meetings paper, Non-executive pay, insider trading. Various: Cranfield, MBS, Aston ... Cranfiled, Manchester, Birmingham. Lasfer, M. (2007). Trading strategies around dividends and repurchases. Barclays Global Investors BGI London. Lin, S.X., Lasfer, M. and Muradoglu, G. (2007). Market Behaviour of Foreign versus Domestic Investors Following a Period of Stressful Circumstances. 2nd Annul Conference on ASIA-PACIFIC Financial Markets OF THE KOREAN SECURITIES ASSOCIATION (KSA) Seoul, Korea. Lasfer, M. (2006). Does Cross-Listing Mitigate Insider Trading? European Financial Management Association meeting Madrid, Spain. Korczak, A. and Lasfer, M. (2006). Does Cross-Listing Mitigate Insider Trading? Financial Management Europe Stockholm, Sweden. Lasfer, M. (2006). Does Cross-Listing Mitigate Insider Trading? French Finance Accociation, Plenary session: Distinguished invited speaker Poitier, France. Lasfer, M., Muradoglu, G. and Lin, S. (2006). Market behaviour of foreign versus domestic investors following a period of stressful circumstances. 30th anniversary conference of journal of Banking of Finance Beijing, China. Lasfer, M., Muradoglu, G. and Lin, S. (2006). Market behaviour of foreign versus domestic investors following a period of stressful circumstances. American Financial Management Association Meeting Utah, USA. Korczak, A. and Lasfer, M. (2005). Insider Trading and International Cross-Listing. Financial Management International (FMA) Chicago. Gajewski, J.-.F., Ginglinger, E. and Lasfer, M. (2005). Why do Companies Include Warrants in Seasoned Equity Offerings: The case of French Unit Offerings. European Financial Management Milan. Lasfer, M. (2005). Why do companies lease their property? Financial Management International (FMA) Chicago. Adaoglu, C. and Lasfer, M. (2004). The Market Valuation of Bonus Issues in a Closely Held Market. Multinational Finance Association Istanbul. Zenonos, M. and Lasfer, M. (2004). The market valuation of dividends in Europe. Financial Management Association New Orleans, USA. Lasfer, M. (2004). When Do Insiders Trade? Financial Management Association New Orleans, USA. Lasfer, M. (2004). Why do companies lease their property? Multinational Finance Association Istanbul, Turkey. Zenonos, M. and Lasfer, M. (2003). Ex-day price behaviour across European counties. European Finance Association Glasgow. Zenonos, M. and Lasfer, M. (2003). Ex-day price behaviour across European counties. European Financial Management Association Meeting, 25 June Helsinki. Lasfer, M. (2003). Why do insiders trade: An empirical investigation. European Financial Management Association Helsinki. Lasfer, M. (2002). Board Structure and Agency COsts. Financial Management International San Antonio, USA. Lasfer, M. (2002). Determinants of Board Structure. European Financial Management conference London. Lasfer, M. (2002). Determinants of Board Structure. Multinational Finance Association Cyprus. Gingingler, E. and Lasfer, M. (2002). Units Openings in France. Multinational Finance Conference Cyprus. Ersoy Bozcuk, A. and Lasfer, M. (2001). Institutional Trades. European Financial Management Lugano. Ersoy Bozcuk, A. and Lasfer, M. (2001). Institutional Trades. Financial Management Association International Toronto, Canada. Lasfer, M. (2001). Share Repurchases. Financial Management Europe Paris. Lasfer, M. (2000). Dividend Payments and Firm's Investments in Growth Opportunities. American Finance Association meeting Boston. Faccio, M. and Lasfer, M. (2000). Managerial Ownership, Board Structure and Firm Value: The UK Evidence. Financial Management Association International Seattle. Lasfer, M. (2000). Share Repurchases in Europe: Why is the Market Under-Reaching in the UK? European Financial Management Association Meeting Athens. Ersoy Bozcuk, A. and Lasfer, M. (2000). Shareholder Groups and Corporate Monitoring: The UK Evidence. Financial Management Association International Seattle. Lasfer, M. (1999). Dividend Payments and Firm's Investment in Growth Opportunities. European Financial Management, Paris. Faccio, M. and Lasfer, M. (1999). Ownership Structure and Board Composition. European Financial Management Paris. Lasfer, M. (1999). Share Repurchases in Europe: Why is the Market Under-Reacting in the UK? Financial Management International Orlando, USA. Lasfer, M. (1999). The Market Reaction to Share Repurchases Announcements: The UK Evidence,. Financial Management International Orlando, USA. Lasfer, M. (1998). Do Dividend Payouts Depress R&D Expenditures? National Association of Pension Funds Annual Conference Eastbourne. Lasfer, M. (1998). Do Pension Funds Monitor Companies in Which They Hold Large Shares? European Financial Management Lisbon. Lasfer, M. (1998). Large Stock Price Changes and the Overreaction Hypothesis: An International Comparison. European Financial Management Lisbon. Lasfer, M. (1998). Dividend Payments and Firms' Investments in Growth Opportunities. Financial Management Chicago, USA. Lasfer, M. (1997). Do Pension Funds Monitor Companies in Which They Hold Large Shares. Brunel University. Lasfer, M. (1997). Debt Structure, Agency Costs and Firm Size. European Financial Management Istanbul. Lasfer, M. (1997). Determinants of Leasing of Small and Large Firms. European Financial Management Istanbul. Lasfer, M. (1997). Determinants of Leasing of Small and Large Firms. University of Hull. Lasfer, M. (1997). On the Motivation for Paying Scrip Dividends. London Business School. Lasfer, M. (1996). Ex-day Returns and Post Announcement. French Finance Association Geneva. Lasfer, M. (1996). On The Motivation for Paying Scrip Dividends. European Finance Association Oslo. Lasfer, M. (1996). Debt Financing of Small Firms. European Financial Management Association Innsbruck. Lasfer, M. (1996). On The Motivation for Paying Scrip Dividends. Financial Management Association New Orleans. Lasfer, M. (1996). On the Motivation for Paying Scrip Dividends. University of Neufchatel, Switzerland. Lasfer, M. (1996). On the Motivation for Paying Scrip Dividends. University of Rutgers, USA. Lasfer, M. (1995). Ex-day Price Behaviour: Tax or Short-Term Trading Effects. American Finance Association Washington DC. Lasfer, M. (1995). Ex-day Price Behaviour: Tax or Short-Term Trading Effects. Lancaster University. Lasfer, M. (1995). Debt, Taxes and Agency Costs: the UK Evidence. Asia-Pacific Finance Association, Hong-Kong. Lasfer, M. (1995). Debt, Taxes and Agency Costs: The UK evidence. University College Dublin. Lasfer, M. (1995). Scrip Dividends: The Management's View. European Financial Management London. Lasfer, M. (2009). QFinance: Acquiring a Secondary Listing, or Cross-Listing. Qatar Financial Centre. Lasfer, M. (2009). QFinance: Optimizing the Capital Structure. Finding the Right Balance between Debt and Equity. Qatar Financial Centre. Bruyland, E., Lasfer, M., De Maeseneire, W. and Song, W. (2019). The performance of acquisitions by high default risk bidders. Journal of Banking and Finance, 101, pp. 37–58. doi:10.1016/j.jbankfin.2019.01.019 . Lasfer, M.A. and Kashefi Pour, E. (2018). Taxes, Governance, and Debt Maturity Structure: International Evidence. Journal of International Financial Markets, Institutions and Money. doi:10.1016/j.intfin.2018.09.011 . Hahn, P.D. and Lasfer, M. (2016). Impact of foreign directors on board meeting frequency. International Review of Financial Analysis, 46, pp. 295–308. doi:10.1016/j.irfa.2015.11.004 . Boubaker, S., Derouiche, I. and Lasfer, M. (2015). Geographic location, excess control rights, and cash holdings. International Review of Financial Analysis, 42, pp. 24–37. doi:10.1016/j.irfa.2014.07.008 . Andriosopoulos, D. and Lasfer, M. (2015). The market valuation of share repurchases in Europe. Journal of Banking and Finance, 55, pp. 327–339. doi:10.1016/j.jbankfin.2014.04.017 . Hoque, H. and Lasfer, M. (2015). Directors’ dealing and post‐IPO performance. European Financial Management, 21(1), pp. 178–204. doi:10.1111/j.1468-036X.2013.12013.x . Kashefi Pour, E. and Lasfer, M. (2013). Why do companies delist voluntarily from the stock market? Journal of Banking & Finance, 37(12), pp. 4850–4860. doi:10.1016/j.jbankfin.2013.08.022 . Alzahrani, M. and Lasfer, M. (2012). Investor protection, taxation, and dividends. Journal of Corporate Finance, 18(4), pp. 745–762. doi:10.1016/j.jcorpfin.2012.06.003 . Lasfer, M., Xiaowen Lin, S. and Muradoglu, G. (2012). Optimism in foreign investors. Review of Behavioural Finance, 4(1), pp. 8–27. doi:10.1108/19405971211261083 . Hahn, P.D. and Lasfer, M. (2011). The compensation of non-executive directors: Rationale, form, and findings. Journal of Management and Governance, 15(4), pp. 589–601. doi:10.1007/s10997-010-9134-5 . Adaoglu, C. and Lasfer, M. (2011). Why Do Companies Pay Stock Dividends? The Case of Bonus Distributions in an Inflationary Environment. Journal of Business Finance & Accounting, 38(5-6), pp. 601–627. doi:10.1111/j.1468-5957.2011.02233.x . Korczak, A., Korczak, P. and Lasfer, M. (2010). To Trade or Not to Trade: The Strategic Trading of Insiders around News Announcements. Journal of Business Finance & Accounting, 37(3-4), pp. 369–407. doi:10.1111/j.1468-5957.2010.02185.x . Hahn, P.D. and Lasfer, M. (2010). The compensation of non-executive directors: rationale, form, and findings. Journal of Management and Governance pp. 1–13. Lasfer, M. (2008). Taxes and ex-day returns: Evidence from Germany and the U.K. National Tax Journal, 61(4 PART 1), pp. 721–742. Lasfer, M. (2008). Ex-day price behaviour in UK and Germany. National Tax Journal, 61, pp. 721–742. Lasfer, M. (2007). On the financial drivers and implications of leasing real estate assets. Journal of Corporate Real Estate, 9(2), pp. 72–96. doi:10.1108/14630010710828090 . Gajewski, J.-.F., Ginglinger, E. and Lasfer, M. (2007). Why do companies include warrants in seasoned equity offerings? Journal of Corporate Finance, 13(1), pp. 25–42. doi:10.1016/j.jcorpfin.2006.05.001 . Lasfer, M. and Bozcuk, A. (2007). Changes in Block Ownership in the London Stock Exchange. International Journal of Business, 13(Winter), pp. 85–99. Lasfer, M.A. (2006). The interrelationship between managerial ownership and board structure. JOURNAL OF BUSINESS FINANCE & ACCOUNTING, 33(7-8), pp. 1006–1033. doi:10.1111/j.1468-5957.2006.00600.x . Lasfer, M.A. (2006). Discussion of Separation of Ownership from Control and Acquiring Firm Performance: The Case of Family Ownership in Canada. Journal of Business Finance and Accounting, 33(3-4), pp. 544–549. doi:10.1111/j.1468-5957.2006.00632.x . Lasfer, M. (2006). The Interrelationship Between Managerial Ownership and Board Structure. Journal of Business Finance and Accounting, 33, pp. 1006–1033. Bozcuk, A. and Lasfer, M.A. (2005). The information content of institutional trades on the London stock exchange. Journal of Financial and Quantitative Analysis, 40(3), pp. 621–644. Lasfer, M.A. and Bozcuk, A. (2005). The Information Content of Institutional Trades on the London Stock Exchange. Journal of Financial and Quantitative Analysis, 40, pp. 621–644. Lasfer, M. and Morzaria, K. (2004). United Kingdom: Bidder's attitude determines M&A success. International Financial Law Review (IFLR), The IFLR Guide to Mergers and Acquisitions 2004(April Supplement), pp. 187–189. Lasfer, M. (2004). On the monitoring role of the board of directors: the case of the adoption of Cadbury recommendations in the UK. Advances in Financial Economics, 9, pp. 287–326. Lasfer, M.A., Melnik, A. and Thomas, D.C. (2003). Short-term reaction of stock markets in stressful circumstances. Journal of Banking and Finance, 27(10), pp. 1959–1977. doi:10.1016/S0378-4266(02)00313-8 . Lasfer, M., Melnik, A. and Thomas, D.C. (2003). Short-term reaction of stock markets in stressful circumstances. Journal of Banking and Finance, 27, pp. 1959–1977. Faccio, M. and Lasfer, M.A. (2000). Do occupational pension funds monitor companies in which they hold large stakes? Journal of Corporate Finance, 6(1), pp. 71–110. Lasfer, M.A. and Faccio, M. (2000). Do occupational pension funds monitor companies in which they hold large stakes? Journal of Corporate Finance, 6, pp. 71–110. Lasfer, M.A. and Levis, M. (1998). The Determinants of the Leasing Decision of Small and Large Companies. European Financial Management, 4(2), pp. 159–184. doi:10.1111/1468-036x.00062 . Lasfer, M. (1997). On the Motivation for Paying Scrip Dividends. Financial Management, 26, pp. 62–80. Lasfer, M.A. (1997). On the motivation for paying scrip dividends. Financial Management, 26(1), pp. 62–80. doi:10.2307/3666240 . Lasfer, M.A. (1997). Scrip Dividends: the Management's View. European Financial Management, 3(2), pp. 237–249. Lasfer, M., Sudarsanam, S. and Taffler, R.J. (1996). Financial Distress, Asset Sales, and Lender Monitoring. Financial Management, 25, pp. 57–66. Lasfer, M. (1996). Taxes and dividends: The UK evidence. Journal of Banking and Finance, 20, pp. 455–472. Lasfer, M.A. (1996). Taxes and dividends: The UK evidence. Journal of Banking and Finance, 20(3), pp. 455–472. doi:10.1016/0378-4266(95)00012-7 . Lasfer, M.A., Sudarsanam, P.S. and Taffler, R.J. (1996). Financial distress, asset sales, and lender monitoring. Financial Management, 25(3), pp. 57–66. doi:10.2307/3665808 . LASFER, M.A. (1995). EX-DAY BEHAVIOR - TAX OR SHORT-TERM TRADING EFFECTS. JOURNAL OF FINANCE, 50(3), pp. 991–991. LASFER, M.A.M.E.Z.I.A.N.E. (1995). Ex-Day Behavior: Tax or Short-Term Trading Effects. The Journal of Finance, 50(3), pp. 875–897. doi:10.1111/j.1540-6261.1995.tb04040.x . Lasfer, M. (1995). Ex-Day Behavior: Tax or Short-Term Trading Effects. Journal of Finance, 50, pp. 875–897. Lasfer, M.A. (1995). Agency costs, taxes and debt: The UK evidence. European Financial Management, 1(3), pp. 265–285. Lasfer, M. (2003). Creating Shareholder Value: The Case of Leasing Property..
Lasfer, M.A. (2002). Property Value of Unquoted Companies..
Lasfer, M.A. (2001). The Value Of Property In The UK And Its Impact On Shareholder Wealth..
Lasfer, M.A. (1999). Debt Structure, Agency Costs and Firm's Size..
Lasfer, M.A. and Taffler, R.J. (1997). Do Dividend Payouts Depress Firms' R&D Expenditures?. Lasfer, M.A. and Levis, M. (1997). The Role of Leasing in Small and Medium Size Firms: Private Finance Initiative and Inward Investment Projects..
Journal of Corporate Finance, Referee, 2009 – present. Journal of Business Finance and Accounting, Referee, 2007 – present. International Journal of Accounting and Finance (IJAF), Associate Editor, 2006 – present. La Revue du Financier, Associate Editor, 2006 – present. Revue des Sciences Commerciales et de Gestion, Associate Editor, 2006 – present. Journal of Political Economy, Referee, 2005 – present. Emerging Markets Letters, Associate Editor, 2004 – present. Journal of Business Finance and Accounting, Associate Editor, 2003 – present. Corporate Governance International Review, Referee, 2000 – present. Multinational Finance Journal, Associate Editor, 2000 – present. Journal of Banking and Finance, Referee, 1994 – present. French Finance Meeting. (Conference) Nice, France (2015). Chair and Organising Committee. European Finance Association. (Conference) (2014). Chair and Organising Committee. French Financial Management Meeting. (Conference) (2014). Chair and Organising Committee. European Finance Association. (Conference) Cambridge (2013). Chair and Organising Committee. European Financial Management Association. (Conference) Barcelona (2013). Chair. European Financial Management. (Conference) Reading, UK (2013). Financial Management Association. (Conference) Chicago, USA (2012). Paper: Why do companies deliste from AIM? European Financial Management. (Conference) Barcelona, Spain (2012). European Financial Management. (Conference) Italy (2011). Multinational Financial Management. (Conference) Greece (2011). International Conference on Banking and Finance Perspectives, Eastern Mediterranean University in Cyprus. (Conference) Cyprus (2011). Invited speaker. Financial Management Association. (Conference) New Orleans USA (2011). Nottingham Business School seminar. (Seminar) Nottingham UK (2010). Invited speaker. Manchester Business School seminar. (Seminar) Manchester UK (2010). London School of Economics workshop. (Seminar) LSE UK (2010). Exeter Business School seminar. (Seminar) Exeter UK (2010). Invited speaker. Essex Business School seminar. (Seminar) Colchester UK (2010). Invited speaker. Conference on dividend policy. (Conference) Wuppertal University Germany (2010). Invited speaker. Multinational Finance Association. (Conference) Greece (2009). Invited speaker. JBFA Capital Market Conference. (Conference) Venice, Italy (2009). Invited speaker. European Financial Management. (Conference) (2009). European Finance Association. (Conference) Bergen, Norway (2009). Invited speaker. European Accounting Association. (Conference) (2009). Financial Management Association. (Conference) Dallas, US (2008). Session/Day Chair. Various universities: Cass, MBS, Reading, Paris Dauphine, University of Amiens. (Seminar) Various: Taxes and dividends, Non-executive directors pay, Meetings (2008). Invited speaker. Western Finance Association. (Conference) Hawaii (2008). Invited speaker. Financial Management Europe. (Conference) Vienna (2008). Invited speaker. European Financial Management Association meeting. (Conference) Athens (2008). Invited speaker. Corporate Bankruptcy. (Conference) Ghent Belgium (2008). Asian-Pacific Finance Association. (Conference) Tokyo (2008). Invited speaker. European Finance Association. (Conference) (2007). Chair and Organising Committee. European Finance Association. (Conference) Ljubiana (2007). Session/Day Chair. Various: Cranfield, MBS, Aston ... (Seminar) Cranfiled, Manchester, Birmingham (2007). Invited speaker. Barclays Global Investors BGI. (Workshop) London (2007). Invited speaker. European Financial Management. (Conference) Vienna (2007). Invited speaker. JBF 30th Anniversary Conference. Beijing, China (2006). French Finance Accociation, Plenary session. Poitier, France (2006). Invited speaker. Paper: Does Cross-Listing Mitigate Insider Trading? Financial Management International. Salt Lake City, USA (2006). Financial Management Europe. Stockholm, Sweden (2006). European Financial Management Association meeting. Madrid (2006). European Financial Management Association meeting. Madrid, Spain (2006). European Financial Management. Milan (2005). Multinational Finance Association. Istanbul, Turkey (2004). Paper: Why do companies lease their property? Multinational Finance Association. Istanbul (2004). Financial Management Association. New Orleans, USA (2004). Paper: When Do Insiders Trade? European Financial Management Association Meeting. Helsinki (2003). European Financial Management Association. Helsinki (2003). European Finance Association. Glasgow (2003). Multinational Finance Conference. Cyprus (2002). Multinational Finance Association. Cyprus (2002). Financial Management International. San Antonio, USA (2002). European Financial Management conference. London (2002). Financial Management Europe. Paris (2001). Financial Management Association International. Toronto, Canada (2001). European Financial Management. Lugano (2001). Financial Management Association International. Seattle (2000). European Financial Management Association Meeting. Athens (2000). Paper: Share Repurchases in Europe: Why is the Market Under-Reaching in the UK? American Finance Association meeting. Boston (2000). French Finance Association (1/2000-12/2008). (Conference) Paris (2000). Organising Committee. Financial Management International. Orlando, USA (1999). Paper: Share Repurchases in Europe: Why is the Market Under-Reacting in the UK? European Financial Management. Paris (1999). National Association of Pension Funds Annual Conference. Eastbourne (1998). Paper: Do Dividend Payouts Depress R&D Expenditures? Financial Management. Chicago, USA (1998). European Financial Management. Lisbon (1998). Paper: Do Pension Funds Monitor Companies in Which They Hold Large Shares? European Financial Management. Istanbul (1997). University of Neufchatel, Switzerland (1996). University of Rutgers, USA (1996). French Finance Association. Geneva (1996). Financial Management Association. New Orleans (1996). European Financial Management Association. Innsbruck (1996). European Finance Association. Oslo (1996). European Financial Management. London (1995). Asia-Pacific Finance Association. Hong-Kong (1995). American Finance Association. Washington DC (1995). European Financial Management (1/1994-12/2008). (Conference) Various places every year (1994). Organising Committee. Can you beat the market without an information advantage? (2014) CityWire (website). WSJ: V Evrop_ o_’v‡ trh IPO, je to ale ãrecykla_n’Ò o_iven’. (2014) http://investice.finance.cz/ (website). The Wall Street Journal: IPO do odzysku got—wki. (2014) http://www.parkiet.com (website). Global markets surge after banks cut rates. (2013) Daily Mail (newspaper). The Markets. (2013) The Independant (unknown). Trio of newcomers steal the limelight. (2013) The Independant (unknown). Insider Trading. (2013) Reuters Insider (website). Broken report keen Direct Line interest, some investors wary. (2012) www.sharenet.co.za (website). Facebook IPO - a tale of caution. (2012) www.bi-me.com (website). Teile und Hersche. (2012) www.tagesspielgel.de (website). Does all insider trading break the rules. (2012) The Times (newspaper). The good servant. (2012) www.director.co.uk (magazine). Capital Club to host debate on legalisation of insider trading. (2011) www.ameinfo.com (website). Urgrading Britain? (2011) www.management thinking.eiu.com (website). Insider trading benefits financial markets and shareholders. (2011) www.gulftoday.com (website). Capital Club Dubai and Cass Business School host debate about insider trading practices. (2011) www.ameinfo.com (website). Capital Club Dubai to host debate on legislation of Insider Trading. (2011) www.uaetoday.com (website). Cayman Islands Directors Sitting on Multiple Boards. (2011) www.prlog.org (website). MBAs cannot always apply the concepts they are taught. (2010) Financial Times (newspaper). Private schools take on the public providers. (2010) www.independent.co.uk (website). Darling speech: Omelette and Eggs. (2008) www.skynews.com (website). Corporate finds hold up firms' bottom lines. (2008) www.timesonline.co.uk (website). Corporate funds hold up firms' bottom lines. (2008) Times (newspaper). Credits give small businesses a break. (2006) Times (newspaper). Business school: Theranos, leadership at McAfee, Unilever’s HQ. (2018). Financial Times I discussed "The backlash against shareholder value" issue relating to corporate governance and the agency conflicts between managers and shareholders. 23 Nov 2016 I need money for my startup: now what?